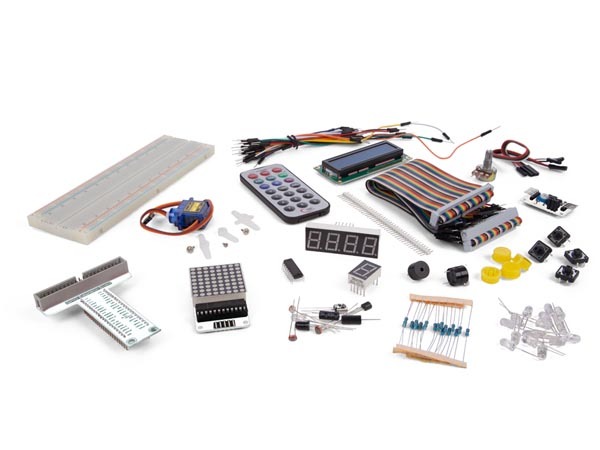 Introducing a range of pre-packed basic electronic kits for students, offering a convenient introduction to electronics, and designed to be used as part of the school curriculum. Each kit comes with all necessary components and a circuit diagram with a simple explanation. 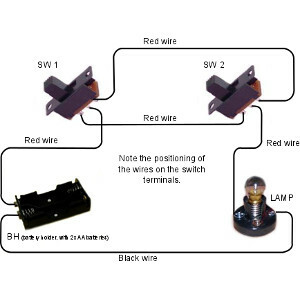 An easy-to-follow wiring diagram is also included. All components come pre-wired. A screwdriver may be required to aid completion of assembly. 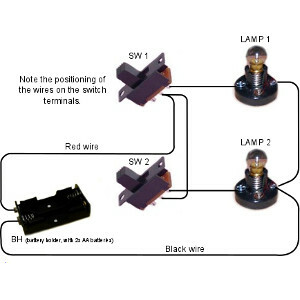 This kit comprises of a simple TWO-WAY LIGHT SWITCH CIRCUIT. The circuit demonstrates a typical two-way switch arrangement found in many homes, to control the operation of a light by locating a switch at the top, and at the bottom, of a stairway. ❇ ANY00I: Alarm circuit. A simple series circuit alarm comprising battery, switch and buzzer. ❇ ANY01I: Electromagnet	. Battery supply and on/off switch that controls the flow of current through a simple electromagnet. ❇ ANY02I: Crane (forward/reverse). Demonstrates how switches can control the direction of current flow, and hence the direction of a small electrical motor. ❇ ANY04I: Series & Parallel circuit. Two series circuits, connected in parallel across the battery supply. Demonstrates how two circuits can be controlled separately from a common power supply. ❇ ANY05I: Moisture indicator. A transistor circuit to control an LED. The smallest amount of body moisture across the finger controls the operation of the transistor and, therefore the operation of the LED.